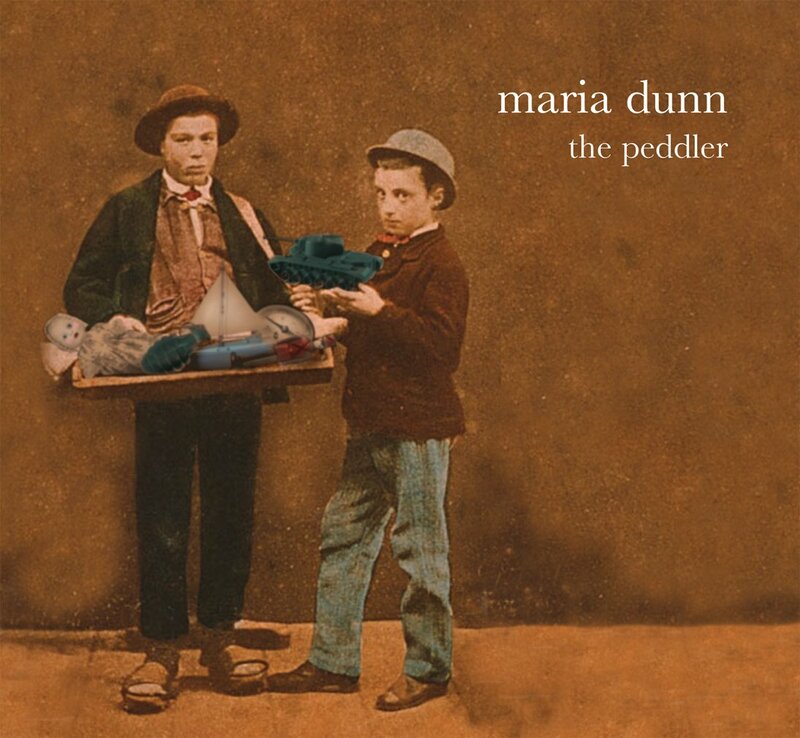 Maria Dunn's fourth CD The Peddler (her first distributed through Outside Music) was released in Canada on September 16, 2008. The album, recorded at Homestead Recorders (Edmonton, Alberta) and at Planet Studios (Montreal, Quebec), consists of songs that have a distinct Celtic influence. The songs range from The Elder Sister, Maria's ominous take on the timeless Two Sisters tale of jealousy, to You Can't Take That Away, a modern offering for those who have lost a loved one. The title track, The Peddler, is a haunting melody commenting on the marketing of modern wars, while Sailor Song is the rollicking adventure of an 18th century pirate. Katie Comes a-Callin' celebrates the simple joys of friendship while William McIlroy's commemorates a beloved Scottish uncle. To do justice to the songs on The Peddler and give them the appropriate Celtic music arrangements, Maria once again involved Shannon Johnson as producer and Shannon's excellent band The McDades (2007 Juno winners for their CD Bloom; www.themcdades.com) as musicians and collaborators on the song arrangements. Shannon encouraged expressive performances from Maria and the other musicians, while keeping the standard of musicianship high -- not an easy task in the intense studio environment. Recording engineered by: Colin Lay, Gerald Woolsey, Barry Allen and Daniel Cinelli; Recording mixed by Colin Lay at Homestead Recorders and mastered by João Carvalho in Toronto. CD Design by: Jeff Sylvester at Pilot Design. Maria states: "The Peddler is an exciting opportunity for me to showcase several songs that I’ve written over the past few years that have a Celtic inspiration, including jigs and reels that I’ve written into some of the songs. I’ve always loved traditional Celtic music and it’s been a joy to focus on those forms for this recording project." ...Truly there's never a dull moment with a Maria Dunn recording. Dare sample The Peddler's wares. Roddy Campbell, Penguin Eggs, Autumn 2008. It's not an easy thing to draw smart, compelling songs from historical sources, or to give contemporary experience a timeless resonance. One of Alberta's finest musical storytellers, Maria Dunn, accomplishes both on her new, fourth recording, The Peddler. Another great album from Maria Dunn, The Peddler is both political and timeless. ...superb CD called The Peddler...one of our most impressive trad-style songsmiths. Good News – Radio & Print!